The biggest names in Philippine opera and fashion are all set for the magnificent production of “MARAWING SALAMAT – The Best of Opera & Fashion for Marawi,” an extraordinary synergy of the high art of opera and the popular art of fashion for a noble & worthy cause. Presented by the Cultural Center of the Philippines (CCP) and The Lyric Opera of the Philippines in cooperation with E. Zobel Foundation Inc., the much-awaited collaboration –all for the love of Marawi — will be held at the CCP Main Theater on April 6, 2018 at 8 pm. The Best of Opera will stage the best-loved opera arias from “Tosca,” “Carmen,” “La Traviata,” “Rigoletto,” “I Pagliacci,” “Romeo & Juliet,” “La Boheme,” and “Turandot,” among others. They will be interpreted by an all-Filipino cast from the Lyric Opera of the Philippines, the country’s most prestigious non-profit opera company and chaired by celebrated Filipino soprano, Maestra Irma Ponce Enrile-Potenciano. The performers will be led by renowned opera tenors Sherwin Sozon, Randy Gilongo & John Glenn Gaerlan, baritone Noel Azcona, sopranos Ana Feleo, Rica Nepomuceno, Mary Patrice Pacis, Ton Ton Pascual, and Naomi Sison. To be directed by internationally-acclaimed filmmaker, Carlitos Siguion Reyna, the twin-bill presentation will also feature the 70-piece UST Symphony Orchestra, a CCP resident company, which shall provide the music under the baton of American guest conductor, Maestro William Barkhymer. The Best of Fashion, on the other hand, will be the biggest-ever-Fashion-for-a-Cause project involving over 100 fashion & jewelry designers, fashion directors & choreographers, hairstylists & makeup artists, fashion models & muses, and beauty queens & celebrity performers. With a unique concept & script by Zardo A. Austria and to be directed by Raymond Villanueva & Nathan De Leon, the cultural fashion show will re-live “The Pomp & Pageantry of Philippine Carnival Queens” as it showcases the Filipino beauty & talent in a breath-taking parade of modern Filipiniana creations inspired from the glorious, bygone era of the Carnival Queens (circa 1908-1939). Having morphed into a nationwide contest for Miss Philippines before and after the war, the search for the Carnival Queen, undoubtedly, became the precursor of modern-day beauty pageants. Playing immortal kundiman classics & folk songs, along with adorable pop tunes, the UST Symphony Orchestra will be conducted this time by Maestro Herminigildo Ranera, former resident conductor of the Philippine Philharmonic Orchestra. “The Pomp & Pageantry of Carnival Queens” will, thus, be a grand display of Filipino ingenuity, music and cultural heritage. 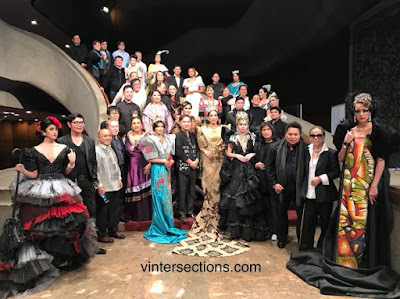 Among the country’s top & talented couturiers who have been fastidiously selected to unveil their brilliant designs are: Edgar Allan, Albert Andrada, Ronaldo Arnaldo, Eddie Baddeo, Delby Bragais, Tony Cajucom, Jing Chua, Steve de Leon, Peri Diaz, Toni Galang, Rocky Gathercole, Nolie Hans, Roland Lirio, Ricci Lizaso, Jojie Lloren, Edgar Madamba, Jontie Martinez, Ole Morabe, Richard Papa, Oskar Peralta, Lito Perez, Nardie Presa, Barge Ramos, Rholand Roxas, Renee Salud, Ditta Sandico, Edgar San Diego, and Fanny Serrano. Leading the all-exquisite Ladies Committee are Becky Garcia & Roni Tapia-Merk as chairpersons. Providing their graphic design expertise are Dopy Doplon & Vince Pozon, co-creators of the catchy title ‘Marawing Salamat,’ haute couture jewelry designer Gerry Ereneta Sunga, Mark Higgins of Slims Fashion & Arts School, ace photographers George Tapan, Sonny Espiritu, Henry Ferrer and Ritche Mariano, along with the teams of Chat Sun and Anton Paranal for hair & makeup. Early project supporters are Hon. Senator Cynthia Villar, interior designer Eric Paras of Artelano 11 Furniture Showroom, Lorna Cruz-Ambas of LJC Restaurant Group, Lorenzo’s Way in BGC, FELIZO for timeless & elegant Filipiniana accessories, Chef Extraordinaire Jessie Sincioco of Chef Jessie Rockwell Club, makeup and skincare by Mary Kay, the Ing Bale Mi Heritage Home in Mexico Pampanga, and Villa Tortuga in Taal, Batangas. The high point of the gala event will be the special tribute accorded to the Opera & Fashion Icons. 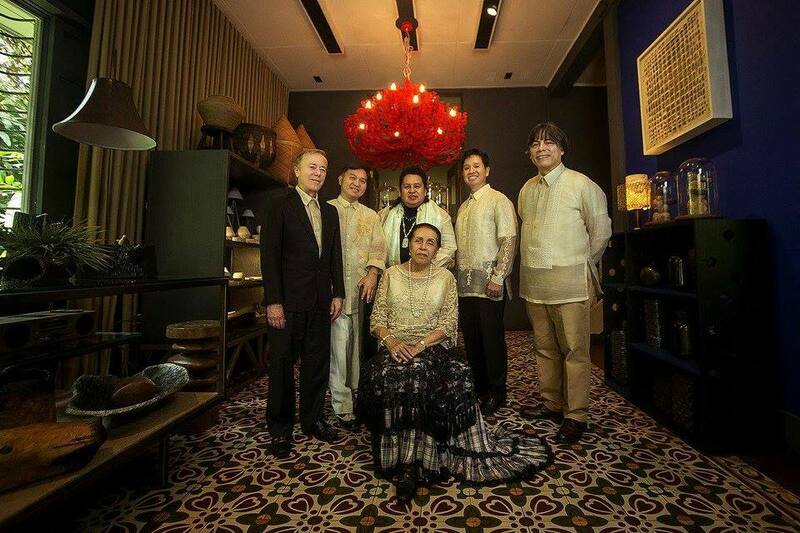 To be recognized for their talent & achievements by their peers are Opera Legends Irma Potenciano, Fides Cuyugan-Asensio, couple Jose & Teresita Agana-Santos, Armida Siguion Reyna, Nomer Son, and Noel Velasco to name some. 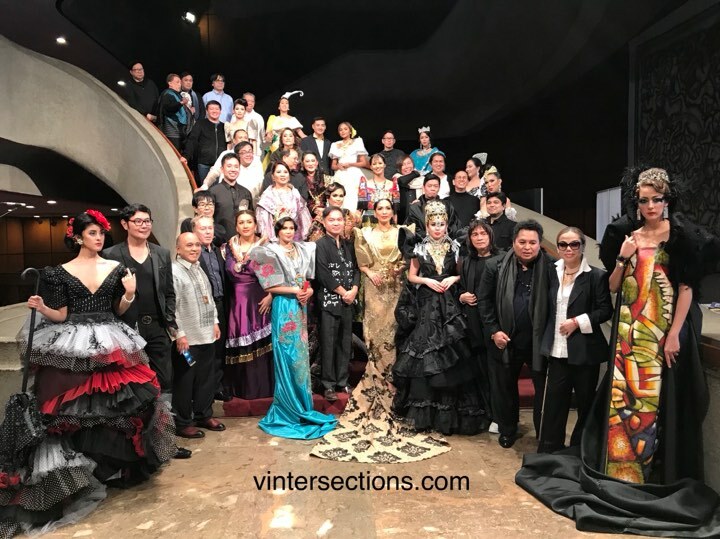 The fashion society, meanwhile, will acknowledge the Pillars of Philippine Fashion which include National Artist Ramon Valera, Jose ‘Pitoy’ Moreno, Ben Farrales, Aureo Alonzo, Christian Espiritu, Joe Salazar and Salvacion Lim-Higgins of Slims. 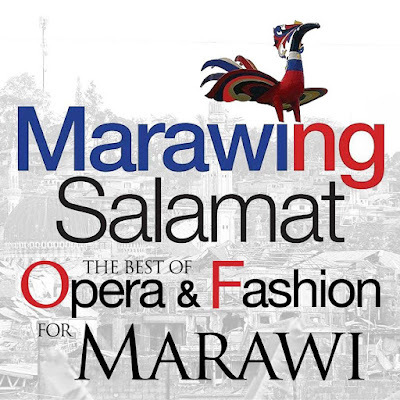 Spearheading this tribute & fund-raising project for the Rebuilding of Marawi City are the event producers: Book Author & Publisher, and Fashion & Arts Impresario Zardo A. Austria; former President of Fashion Designers Association & Heritage Advocate Lito P. Perez; renowned Tenor & Co-founder of Lyric Opera Philippines Sherwin K. Sozon; and Award-winning Theater, TV & Film Actress and Educator Lorli Villanueva. They have unanimously chosen the Duyog Marawi project of the Prelature of St. Mary’s in Marawi to be the beneficiary of Marawing Salamat fund-raising event. Established by Bishop Edwin dela Pena of Marawi, together with the Redemptorist missionaries, Duyog Marawi literally means “to accompany Marawi” towards recovery and reconstruction. But going beyond the physical process, it is anchored on the belief that to truly rebuild the city, the real foundation must be built in the hearts of its people. Faith & culture must be factored into the rebuilding process, and that people’s rights are always protected and upheld. According to Bishop dela Pena, they have already identified 13 communities in Marawi which will serve as the Peace Corridor, and the loci of their operations for rehabilitation. These communities will be transformed into a chain that channels a free passage of ideas and dreams of peace, and eventually shall become gateways & guardians, so that ideas of terror & extremism will not flow freely once again. They have started with some of their key services to these communities, such as, a healing center that combines psychiatric & psychological support, as well as culture-based approaches to healing & wellness. This is particularly effective to the children who have been traumatized by the wounds of war. The other special programs shall include Health, Wellness, & Peace Caravans which will bring wholistic medical missions to the people; Peace Education in Child-friendly Spaces; Training & Mobilization of Maranao & Christian Youth Volunteers towards Peace & Dialogue as a way to curb the influence of ISIS and other extremist forces in the area; and Communications for Peace, Healing, and Reconciliation to help create a Culture of Compassion among the Catholic faithful towards the Maranao. To highlight this remarkable cooperation and offering, a landmark coffee-table book, entitled THE GOLDEN AGE OF OPERA & CARNIVAL QUEENS IN THE PHILIPPINES, will be launched on July 4, 2018 to coincide with the Filipino-American Friendship Day celebration. For ticket sales or reservations, call TicketWorld at 891-9999 or contact mobile number 0917-8607560.